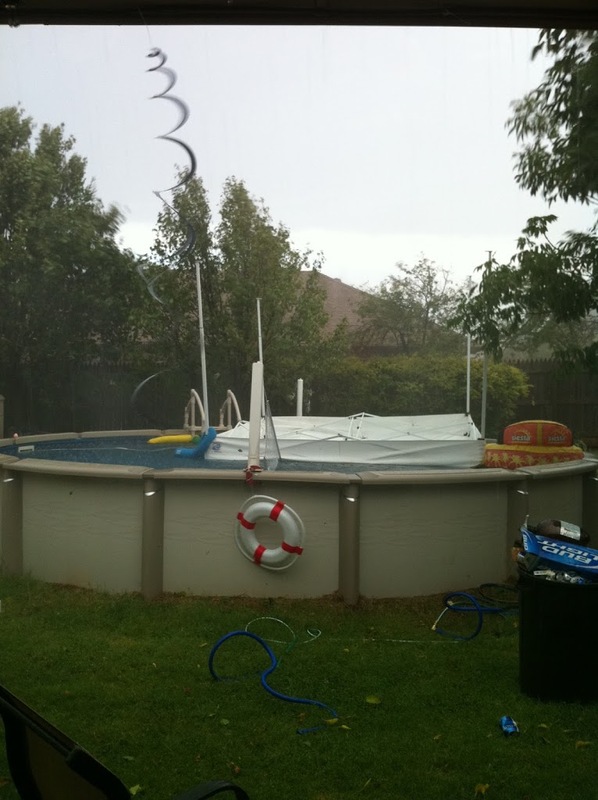 We were a little late putting the EZ-Up canopy down before the storm. 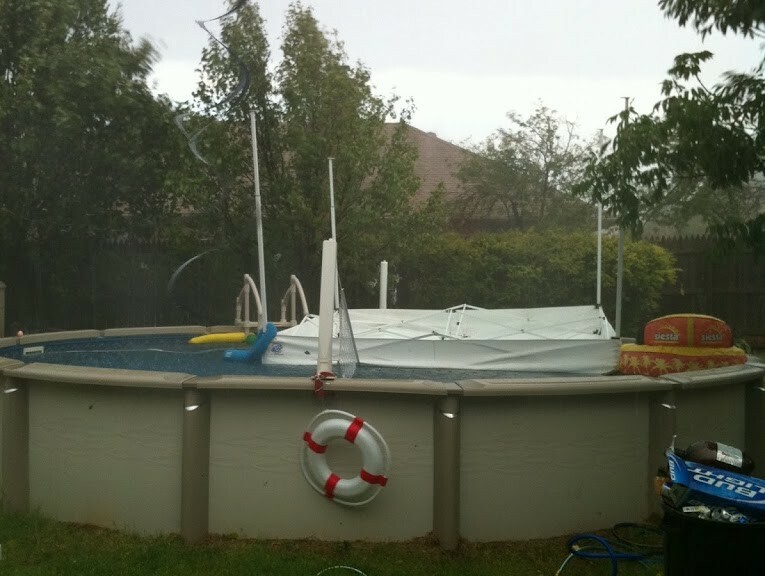 Now it’s easily upside down in the pool….. Previous PostThe doggies are passed out, wearing party beads. Sign of a good party I guess.Next PostFlowers on anniversary celebration day from the Todd!